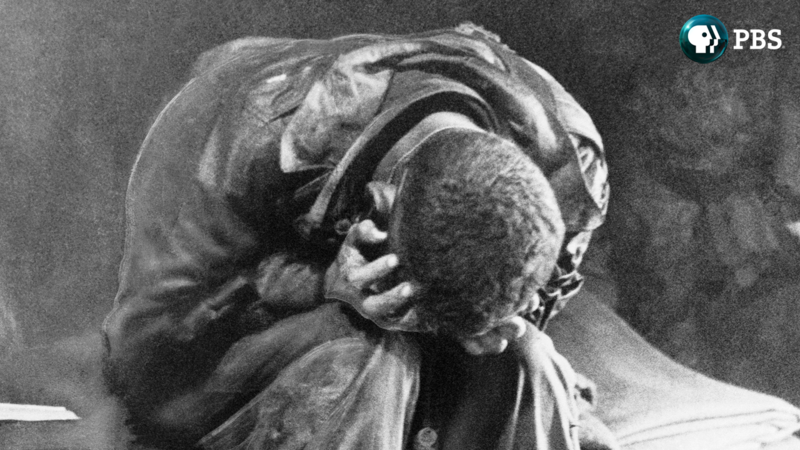 PBS will explore the lasting impact of war in new documentaries airing around Veterans Day. Through moving interviews with survivors from WWII to the War on Terror, the featured documentaries share personal stories from disabled veterans and reunited former enemies on opposite sides of the battlefield. On Tuesday, November 10, 2015, 8:00-9:00 p.m., PBS viewers will take an unforgettable journey back to the iconic site of one of the fiercest battles of World War II. IWO JIMA: FROM COMBAT TO COMRADES is the powerful and moving story of American and Japanese servicemen who came together 70 years later for a historic reunion in March 2015. This island battlefield is the only former combat zone in the world that sees past enemies return as friends in a ceremony of peace and remembrance. Flags of Our Fathers actor Ryan Phillippe hosts. Click here to view a clip. Also on Tuesday, November 10, 2015, is a new documentary film by six-time Emmy Award-winning director Ric Burns titled, DEBT OF HONOR: DISABLED VETERANS IN AMERICAN HISTORY. This film, airing from 9:00-10:00 p.m., examines the way in which the American government and society as a whole have regarded disabled veterans throughout history, beginning in the aftermath of the Revolutionary War and continuing through today’s conflicts in the Middle East. The film combines personal stories, told by distinguished disabled veterans, with deep history narrated by leading scholars in the fields of disability studies, history and psychology to illustrate the human cost of war and the enormous sacrifices of military service. These sacrifices are brought to life through hundreds of carefully curated still images and archival footage from across the country. Click here to view a clip. IWO JIMA: FROM COMBAT TO COMRADES and DEBT OF HONOR: DISABLED VETERANS IN AMERICAN HISTORY are part of PBSStories of Service, a multiplatform initiative exploring veterans’ experiences and providing a deeper understanding of our country’s military history. Viewers are invited to join the conversation in social media using the hashtag #ServiceStoriesPBS and access a rich library of more than 50 archival programs and resources for educators, students and veterans at pbs.org/storiesofservice. Clickhere to view a clip. On Monday, November 9, 2015, at 10:00 p.m., INDEPENDENT LENS airs “Stray Dog,” a documentary about motorcycle-riding, stereotype-shattering Vietnam veteran Ronnie “Stray Dog” Hall as he tries to come to terms with his combat experience and help others like him. November also brings an encore of NOT YET BEGUN TO FIGHT (check local listings), the story of a Vietnam veteran who brings five men, severely injured in Iraq and Afghanistan, to the rivers of Montana, where he teaches them to fish … and to hope. In 2017, Ken Burns and Lynn Novick’s THE VIETNAM WAR, a documentary film series about the history and meaning of that conflict, will explore the military, political, cultural, social and human dimensions of what has been called “the war of lost illusions.” The primary focus will be the human experience, using eyewitness testimonies of so-called “ordinary” people — Americans as well as Vietnamese — whose lives were touched by the war. In May 2003, Fox Company of Marine Reserve Unit 2/23 returned home from combat on the frontlines in Iraq. America ReFramed’s Reserved to Fight follows four Marines of the Fox Company through their post-war minefield of social and psychological reintegration into civilian life. The return home to rejoin their communities proves to be as formidable a battle as the actual firefights of previous months, airs Tuesday, November 10, 2015. An examination of what has become all too common among U.S. veterans returning home from combat zones. PTSD: Bringing the War Home illuminates those affected by war-related post-traumatic stress disorder: a devastating injury pushes one former soldier into darkness; the family of a Navy Seal tells his tragic story; a woman rebuilds her post-war life; and a program at the City College of San Francisco is committed to rehabbing veterans, airs Monday, November 16, 2015. Also surrounding Veterans Day, Veterans Coming Home — a national public media effort funded by CPB — will work with local public media stations to honor veterans in their communities through local content and services designed to help returning veterans translate their military experience to jobs in the civilian workforce. Stations’ local content and events will be augmented by national programming from PBS, NPR and other content producers that highlights the stories, triumphs and challenges of veterans as they transition back to civilian life. PBS LearningMedia, a digital library of more than 100,000 resources for educators and students, will add additional content for classroom use to the “Soldiers, Veterans & War in American Life” resource collection from recent PBS programs like THE DRAFT, COMING BACK WITH WES MOORE, THE HOMEFRONT, D-DAY 360 and LAST DAYS IN VIETNAM. Additional content from ON TWO FRONTS: LATINOS & VIETNAM and IWO JIMA: FROM COMABT TO COMRADES will also be available. In addition, the “Georgia World War II Oral History Project” from PBS member station Georgia Public Broadcasting chronicles World War II through the personal accounts of men and women from Georgia whose lives were touched by war. The collection includes interviews, photographs, and letters to support lessons in social studies, history and geography and features American television journalist Tom Brocaw.